Slavoj Žižek has not had a good weekend. He has spent it explaining just how and why he managed to plagiarize passages from a white supremacist journal, never quite the kind of thing you want to do when you are a prominent Marxist philosopher. Žižek's troubles started last week. On Wednesday, a blogger with the unpronounceable name of Deogolwulf (philosopher fanboys not so far afield from D&D ones, apparently) posted a chart showing a kind of word-for-word copying that would make a lot of high school burnouts blush. 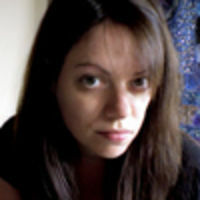 That's just one example; the blogger lists eight. Although Žižek's pillorying the attitude and Hornbeck's endorsing it, this is all too much cut-and-paste for comfort. But just to compound humiliation, American Renaissance is a self-avowed "race realist" publication. Which, for those of us not well-versed in ultra-conservative double-speak, makes it a white supremacist journal. When I was writing the text on Derrida which contains the problematic passages, a friend told me about Kevin Macdonald's theories, and I asked him to send me a brief resume. The friend send [sic] it to me, assuring me that I can use it freely since it merely resumes another's line of thought. Consequently, I did just that – and I sincerely apologize for not knowing that my friend's resume was largely borrowed from Stanley Hornbeck's review of Macdonald's book. (These passages are also taken over in Part III, Chapter 1, of my book The Parallax View.) As any reader can quickly establish, the problematic passages are purely informative, a report on another's theory for which I have no affinity whatsoever; all I do after this brief resume is quickly dismissing Macdonald's theory as a new chapter in the long process of the destruction of Reason. In no way can I thus be accused of plagiarizing another's line of thought, of »stealing ideas.« I nonetheless deeply regret the incident. My friend not only agreed, he wrote those words for my use! Plus they are a resume of a book, not any creative development of ideas. So I really don't see a problem here. Mmm, well, we now know this "friend" didn't "write" that summary exactly, but okay. In a third email, he added, "I find it difficult to consider plagiarism using a brief resume of a book written by a friend FOR THE EXPRESS PURPOSE OF ME USING IT. If this is plagiarism, then quite a few academics I know are plagiarists." Asked whether his other published work also contains passages written by friends or assistants, he responded, "NO, plus I NEVER in my life got or used a research assistant or ANY kind of paid academic help!" I, for one, am prepared to take this account as the gospel truth. A couple issues nonetheless leap to mind. One: what kind of "friend" is this? Žižek's got an underminer on his hands. "Oh, here, totally, you can use this stuff I just cut and pasted from a random webpage that the Southern Poverty Law Center lists as an active hate group! No prob at all, happy to help, let's get drinks soon." 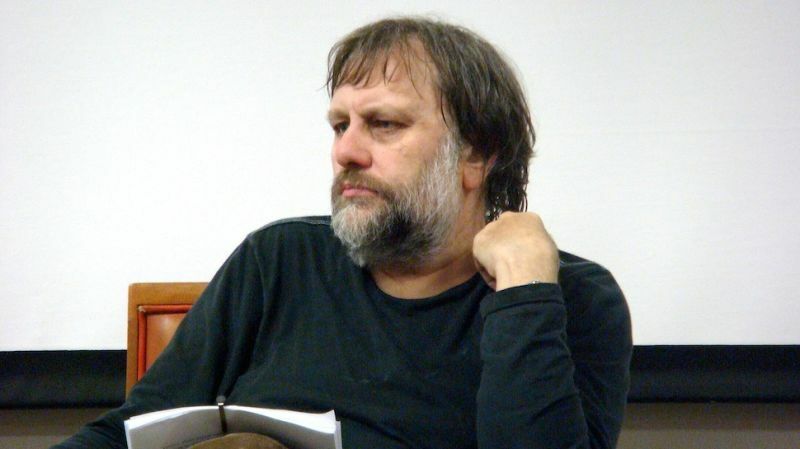 And two: as a description of the intellectual process, this makes Žižek sound supremely lazy. Copying a summary is indeed a different thing than straight up stealing an idea, particularly if you're cutting and pasting to criticize. But it still means Žižek was less than personally familiar with the book he's holding up as a signature example of an evil trend. He's not exactly setting a shining example of academic rigor, there. All of these plagiarism panics, of late, share that laziness storyline. Is it just that hitting the top will do you in, make you a target for haters who will comb your work for harmless error? Is it the relentless demand to produce that comes with success that trips people up? Or is it that meritocracy is a total lie and lots of terrible, sloppy work can be so elevated by everyone's genuflection to intellectual status that it takes years to discover it was constructed with all the finesse of your average Reddit hack? I've been defaulting to that last explanation, myself.